We’re still trying to get the latest information about health centers located in areas that were pummeled by Hurricane Matthew over the weekend. We have reached out to our friends at the Primary Care Associations in South Carolina, Florida, Georgia and Florida. We are also in contact with our partners at Direct Relief, the nonprofit organization which provides aid and support to health centers affected by disasters. Initial reports from our friends at the North Carolina Community Health Center Association are that flooding and power outages continue to pose a challenge for health centers. Many health centers were forced to close sites or reduce hours yesterday when floodwaters made surrounding roads hazardous. 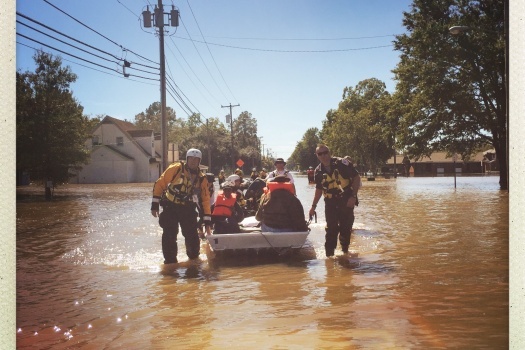 Doug Smith, President and CEO of Greene County Health Care, Inc. in Snow Hill, NC, told us that there remain high waters near some of his health center sites (one of them is in an evacuation zone), but that’s not deterring their mission. At least one Snow Hill site will be open tomorrow from 9-3 pm. “We will help as many people as we can,” he said. Thirty-one counties have been declared federal disaster areas. The greatest threat right now is inland flooding for central and eastern North Carolina that will continue through next week in many areas, according to state government website. News reports indicate that 19 people lost their lives in the storm. State officials continue to warn residents to avoid driving on submerged roads. Direct Relief reports on their blog that they have sent hurricane packs down to health centers in areas hit by the storm, including Goshen Medical Center (GMC). GMC serves 40,000 patients, at 30 sites, across nine counties. Their report yesterday said many of their sites remain closed due to water damage, power outages in about half of their sites, road closures, and staff being unable to reach the office. Their corporate office also lost part of its roof. Refrigerated medications have been lost due to outages. An estimated 1,000 people are displaced from their homes and are staying in shelters. The extent of the damage and the total impact of the hurricane is unclear as the storm swept through over the weekend and people are getting back to assess damage. Direct Relief anticipates needs for insulin, Tdap vaccines, albuterol, and hygiene items, and retains a standing stock of inventory from which a shipment is being created. Roanoke Chowan Community Health Center in Ahoskie, NC, is also using the hurricane packs Direct Relief sent ahead of the storm. Reports there indicate that major flooding has occurred over 5 counties as the health center responds to the community. We will keep you posted on developments as they come in.